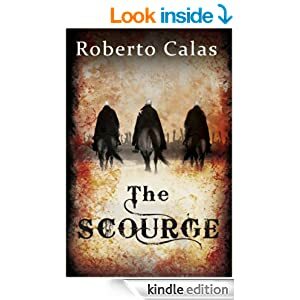 One of my favorite reads of 2013 was a little known serial novel called THE SCOURGE – which is the first of a series of historical fantasy/horror novels by my author friend Roberto Rodriguez Calas. In THE SCOURGE, a mysterious plague has descended upon 14th century England, ravaging the country and trapping the souls of the afflicted in eternal madness. Sir Edward of Bodiam has been separated from his wife, and with two of his knights, sets out to find her. The knights encounter unspeakable horror, violence, and sorrow on their quest, but nothing on heaven or earth can keep Edward from the woman he loves. THE SCOURGE is a clever, witty twist on some familiar themes like honor, nobility, and true love – with characters you can’t help but love. 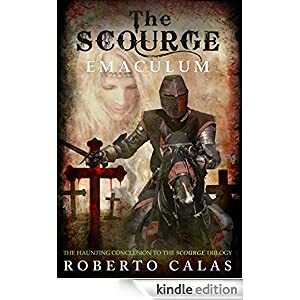 The quest continues in Roberto’s next book, THE SCOURGE: EMACULUM. The fun starts at 5:00 pm EST / 2:00 pm PST. Click the image below to be taken to the event page. Hope to see you there!